Pulsar has a space saving 8"x9" design and powerful Intel i5 or i7 processor computing, all in the same attractive small package. 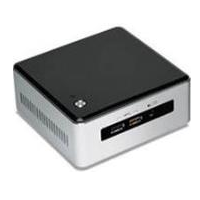 Nano is a 4"x4" fully integrated design PC with full desktop functionality. Intel Core i3 or i5 and optional vPro Technology. Orion is configured with the most cutting edge workstation technology available from Intel, including Core i7 and vPro. 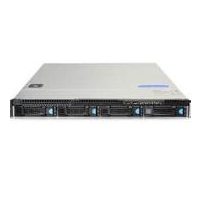 Starlight 1U & 2U servers are space saving and efficient. Full Intel spec systems with 1 or 2 multi-core Xeon processors. Online video and YouTube particularly is now more popular than cable television. More businesses are reaching out with Video Conferencing and Video Training. 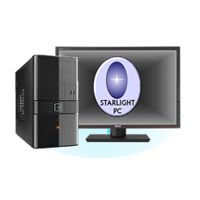 Starlight PC provides modern computer systems that easily supports YouTube, Vimeo, Netflix , Hulu and your on-line Video needs. 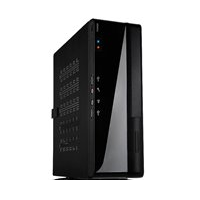 Please check out our line of Business PC's and let us know if we can help your company improve the bottom line. Our no nonsense Intel based computing is designed for your business and to your specifications.